We typically charge $200 for an initial (one hour) consultation. The average retainer varies between $5,000 - $7,500 (sometimes less for easier matters). Each case is different. Our attorney rates run from $275 - $450/hr. Our paralegal rates run from $175 - $275/hr. We work hard to keep our billing down, realizing the financial strains often associated with our line of work. When conducting price comparisons between attorneys, retainer fees and hourly rates do not tell the entire story. Most family law attorneys charge by the hour, and there is much discretion and variation when it comes to what activities are billed and how much time for each activity is recorded. We are conservative in what we bill and accurate as to our time, within tenth of an hour increments. We strive to succeed in every case, with efficiency in billing as a top priority. We also try to assess each case from the beginning as to what total price range the client can anticipate. Our practice is efficient and fast paced. We pride ourselves on quick turn-around and on being available to our clients. If we take your case, we will start on it right away. The court process will be thoroughly explained. We reserve four time slots each Thursday in our Seattle office for a one hour comprehensive client consultation at no charge. These slots become available a week in advance and can be scheduled on the phone or through this site. These free consultations are staffed on a rotation which means the client is not choosing a particular attorney. For an initial consultation with a particular attorney, or at a particular time or location, the charge is $200. This includes follow-up phone calls. We can usually schedule you within 24 hours. All available options will be discussed. Do you charge for phone calls and e-mail exchanges? Yes. Once you engage us, time spent working exclusively on your case is billed in 1/10 hr (or 6 minute) increments. This applies when speaking in person or on the phone, or when speaking to the adverse attorney or the adverse party if pro se. Calls about billing are free. Can both spouses consult a single attorney? No. However, we handle a high volume of uncontested divorces, where one party chooses either to represent themselves or meet with us initially, followed by a review of the proposed final papers by independent counsel. How long does it take to process a divorce or legal separation? Generally between 3-11 months. A legal separation case has no 90-day waiting period, however, once final, it cannot be converted to a divorce until at least 6 more months have passed. What about reconciliation and mediation? Mediation is a powerful tool which often assists both sides in minimizing the negative impacts of divorce and separation. Counseling is encouraged in almost every case, whether reconciliation is considered as a possibility or not. We focus our efforts on keeping the children out of the middle and in helping our clients preserve relationships where possible. Yes and no. Most litigants seeking a pit bull attorney, especially in family law, are ill advised. Far less often than we think, but indeed sometimes, aggressive litigation is the only way. We are experienced in the courtroom. Thankfully that experience, coupled with patience and an openness to see both sides, often results in settlement. Do you practice outside King County? We practice in both King and Snohomish Counties and have since 1983. 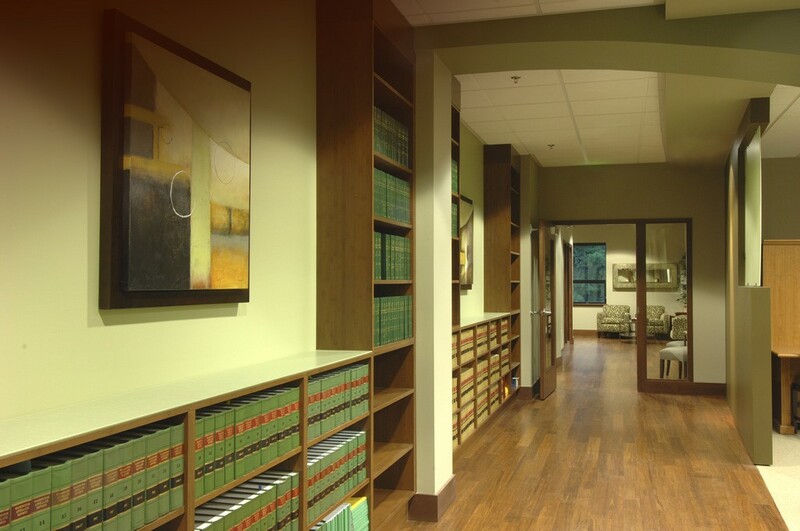 We have handled family law matters in 12 other counties on a case-by-case basis. We regularly handle matters out of the Kent RJC. We represent many out-of-state clients who have family law matters pending in Washington. We often help local clients who have matters pending in another state, associating with out-of-state counsel when necessary. Do grandparents have rights in Washington? Yes and no. We had one of the most generous third-party visitation laws in the country until the courts recently found it was too generous and struck it down. Our third party custody laws are more stringent but at least they still stand. Our legislature is working on a fix. Meanwhile, this rapidly growing field of law is dazed and confused. When can a child choose where to live? Age 18. Prior to that, as minors, their parents decide and if their parents can't agree then the court decides. However, the older they get the more weight a court will give to the wishes of a child, except when parents try to influence the child. Generally yes, because there are Constitutional rights to travel and live where you want. Under certain circumstances, however, a judge can restrain the children to this state. For years the decision was discretionary with the judge, but a new law now establishes guidelines as to when the court can and cannot restrain a child to a particular locale. Warning: don't move unless you give proper notice. Warning if you get notified and want to stop the move, you must act fast. Under community property title is not the key; rather, it's the date of acquisition. Meaning, if it was acquired by either spouse after marriage (including wages) it is presumed community, regardless of who earned it. A wife earns 50% of her husband's paycheck and vice versa. An inheritance (if you keep it separate) is generally separate property, regardless of when it's received. Yes. We call it spousal maintenance. How much and for how long varies greatly from case to case. The primary factors are income disparity, length of marriage, and the employability of the disadvantaged spouse. If you prefer - bring only yourself. As a general rule, however, the more prepared you are, the more productive the appointment. If you're already divorced or in the midst of a legal proceeding, we will want to see copies of the relevant court pleadings, particularly any important court orders or final decrees. Whenever financial issues are present, we will need a copy of your most recent paystub and your tax returns (with W-2's) for the last two years. If you own real estate, we would like to know the legal descriptions and tax parcel numbers. We will also ask you for the social security numbers of the parents and the children. Much of the personal data we need can be provided to us in advance of your appointment by completing our online Client Information Form. We also offer a comprehensive checklist for clients to use which will help us in preparing your case. The checklist is provided in two formats for your convenience.